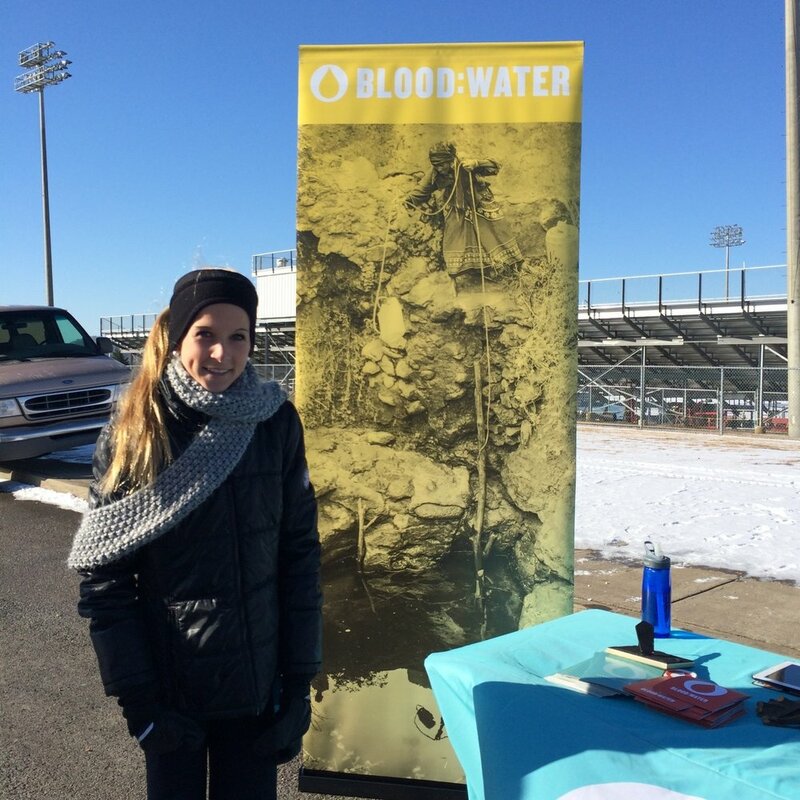 This weekend over 90 people showed up to run in a 5K to bring clean water to The Next Million, all because Nashville teen Annika Sleenhof chose to Be the Movement. Annika is a freshman at Ravenwood High School. She started running in fifth grade as a way to pass the time during her brother’s football practices. In sixth grade, she started racing and now runs on the cross country and track teams at RHS. She’s even headed to New York this weekend to run in the New Balance Nationals! So Annika set out to launch the Running Water 5K. She created the logo with the help of Nesting Project and lined up sponsorships from Fleet Feet of Nashville, Sleenhof Woodworks, Whole Foods, Panera, 9 Fruits, and Ravenwood High School. She recruited volunteers from her church community and the Brentwood United Methodist Church’s Confirmation Class of 2015 helped set up and direct runners along the path. Annika spread the word on Instagram and told her running friends from school about the 5K, and Fleet Feet of Nashville promoted the race to the local running community. About 70 people registered in advance and another 21 showed up to register on the day of the race! Annika used her love of running to help provide nearly 100 of The Next Million people with access to clean water! You may not be a runner, but you’ve got moves! And you can use your creativity, your talents, your hobbies to make a difference when YOU sign up to make your move!